Loneliness. This one slipped up on me. I didn’t see it coming. The sting of being on rest, taking it easy and officially out of work was terrible. It wasn't the first time the docs had said to take some time away. One must take in to account that until that last few years, I’ve been self-employed and a small business owner, so I could work from the couch, the bed – heck, even the hospital bed, which I’ve been known to do on more than a few occasions. I know, crazy, right ? But submission to these terrible diseases??? Never. That’s one early decision I wish I could do over. I’d have followed the doctor’s orders and taken time off work the first time. Years ago. The first week or two was actually kind of nice. It was quiet. I could rest. There were a couple of days that I laid in bed all day with on/off heat and texted Chris about how much I hurt. Time away from work allowed me to attend to the pain and overwhelming fatigue that comes with RA, Sjogrens and all the rest. The side effects from the meds were a constant companion and unwelcomed guest - the nausea, headaches, flu symptoms …oh my. The on-boarding phase just isn’t fun. If I’m gonna puke, I’d rather be at home over my own john and not at work, y’know…? So a couple of weeks to just be sick was actually a good thing and I was thankful for the time. My doctor was right. Again. Our kids are older now, so they’re at work during the day, as is Chris. I’m here by myself, me and ole’ Molly, our mutt we adopted from the local shelter. I’m not a TV person, so the house is quiet all day. When I hit a month, I was getting kind of bored and feeling a little house-bound, so I took some small trips to town to get a coke, some tea, or some yummy cheddar rounds, which are famous in this little Appalachian town. A trip to read at the library or Barnes & Noble for a little while was a nice way to get out of the house. I even felt a bit accomplished on my first trek out. The trips would wear me out and I’d have to limit the time to an hour or two, but I have to admit, it was nice to get out for a bit. My family checked on me often, but surprisingly, I didn’t hear from many others. I’m not sure what I was expecting, but the overload of phone calls, cards, texts and ham and green beans just didn’t come. If I’m honest, it kind of hurt a little. There was a little sting of rejection and I had to work hard to overcome that by choosing to believe that no one was trying to forget or ignore me, families are just busy. Life happens. There’s not a lot of time to deliver ham and green beans anymore. And there it was again... sadness. It just made me sad. Loneliness is a well-studied topic of psychology experts and can affect us in dramatic ways. In Psychology Today, Dr. Guy Winch talks about some surprising facts about loneliness. In the article, Dr. Winch discusses ways loneliness affects us physically and even says loneliness is as dangerous as cigarette smoking. It can increase the risk of early death by 14%. Four-teen-percent. Patient outcomes are well documented to be lower and less successful when loneliness and depression are seen in the patient. This is particularly true of the elderly and in some teenage populations. Wow. So, whether you’re home recuperating from surgery for a long spell, or you’re out of work, or you’re diagnosed with some illness that keeps you home resting a lot, loneliness is very apt to creep in to your day during these times. In fact, it may set up shop and call your place home for a while. Coping with loneliness and isolation is something we often have to learn to do. There are healthy ways to overcome this component of RA and chronic disease. Here are a few tips I've deployed to keep loneliness at bay. Get out of the house. Go somewhere. Most anywhere will do. This little trick really helps. It means I have to take a shower, get dressed, etc., actually put forth some effort. But a change of scenery does wonders for the down-in-the-dumps mindset. Sometimes I take my book and just go sit at the library or Barnes & Noble and read. Sometimes I'll take some paperwork with me (like those endless insurance forms) and get some tea at Chickfila, where there's wifi, and get some work done. But I get out. I make myself put forth the effort. Call a friend. A real-deal friend. There are friends, or maybe family members, who'd love to hear from you. Pick up the phone and give them a call to say "hi," to check on their kids or their mom, to invite them to lunch, to meet for a walk, or just to vent about a rough spot in the road of chronic. I have a really sweet friend I called one day because I just felt overwhelmed with all that was going on, and I had a particular issue on my mind that I just couldn't process through. She met me within the hour, stayed with me for several hours, and just let me vent it all out. She even let me get my tears out, and she was so sweet to listen, talk, and pray with me. It really helped my mood. There are also on-line communities that you can join. Do your research first, though. Some of these are legit and very uplifting, encouraging, well-moderated, etc., and then I've found some to simply be a place to air grievances about our doctors and medications. These sites do nothing, in my opinion, to help us stay positive and avoid the loneliness trap of chronic illness. I'm a contributor to myrateam.com and I've found them to be a very friendly group of folks. The loneliness of the chronic life is often a place we all have to visit. It's okay to feel these feelings, and whatever other feelings of chronic we need to feel. Here's the trick - just don't stay there. Feel it, own it, then take charge of how you're going to address it and move on. We can all do some little something to try and be in front of the loneliness we experience as a CDP (chronic disease person/patient). 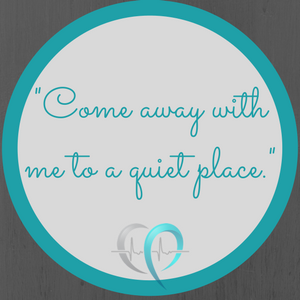 If the feelings are just overwhelming and you can't shake it, talk to your doctor or provider. Remember, your healthcare team is on your side and wants you to win. Lean on them. Lean on those who love you, like family, friends, etc. It's okay to be down or lonely - just don't stay there. Below, I list some articles (from trusted resources) that I’ve found helpful as I learn to identify and cope with the unexpected loneliness and isolation of chronic illness. They talk about other things I don’t ascribe to, like Buddhism and evolution, but the nuts and bolts of the articles are great resources for how to deal with the loneliness and isolation of chronic disease in a health manner. Though I honestly didn’t see it coming, I can learn how to catch it early and put easy, helpful activities in place to head loneliness off at the pass. My advice is to not ignore this real part of living with RA and other illnesses, whether chronic or just for a long season. We wouldn’t ignore a new lump that comes up on our elbow, so neither should we ignore the psychological aspect of our journey. Trying a few things on your own is a good way to get in front of these feelings of isolation and loneliness. And of course, always – always – mention these things to your doctor or medical team. Rock on, Rheumies, rock on! What are some ways you cope with isolation and loneliness? Leave a comment and share your story.